Pelmet – a decorative drape of fabric of different colors and textures that are placed over the curtains. Attach it to the same ledge, on which hangs a curtain. 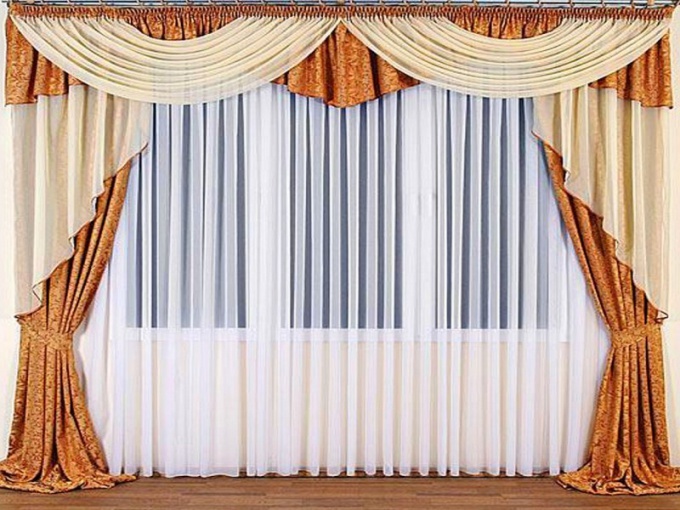 In its very widest part of a valance is 1/6 of the length of the curtains. This decorative element of a window or door opening can be further decorated with tassels, flounced or to be collected not in folds, and smocking. To make pelmet own hands is not so difficult. Sagging part of the pelmet is called Smad. Depending on the window width calculate the required number of valances considering the fact that their radius is equal to 1/6 of the length of the curtains. If its length is 250 cm, then the radius of the valance is 41 see each other, they should overlap by no more than 15-20 cm below the curtain and drape look good, and the folds of the lambrequin was clearly visible. If you want the valances do not overlap, then the distance between them can be draping an additional decorative elements – kokila or bells. Before you cut out of the fabric pelmet, be sure deleteroute her iron through the damp thin fabric, or use iron. This will help to avoid tissue shrinkage, if you will need to wash the valance. Scheme of the finished product is given in the figure. 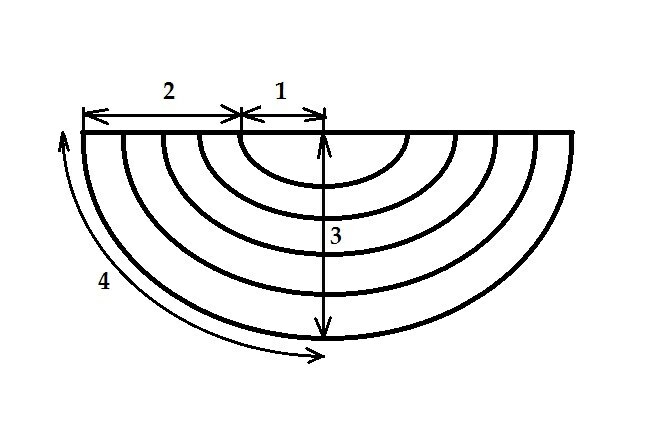 Figure 1 shows a ½ mid Smad, figure 2 – shoulder Smad, figure 3 – deep and 4 – ½ lengths Smad. Make pattern based on the parameters of the future pelmet. 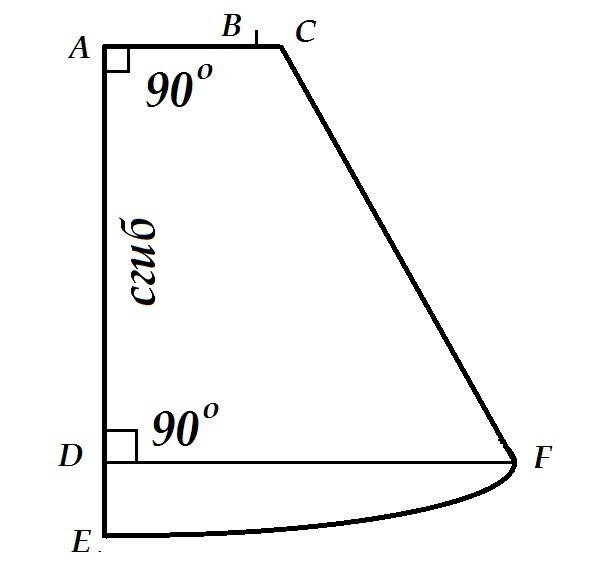 AB – ½ mid-Smad, sun – allowance for processing, equal to 15 cm, AD is the depth of the Smad multiplied by 2, DE – Smad depth divided by 2, DF - ½ length Smad. Points E and F connect through the arc. Did you make the pattern symmetrical equilateral Smad. Collect swag, using mounting tape or cardboard strip with the marks on which you will secure the folds with sewing pins. Mark the given half-width mid-Smad and width of his shoulder, attach the swag with a pin at the middle and one by one drape pleats, securing them on the braid with pins. All the folds should be the same depth. Check the width and depth of the Smad, they were equal to the calculated values. Treat the bottom of Smad piping or just hem it. Top pristrochite to the mounting tape or strip of thick fabric. Assemble pelmet of several Smad decorate it with ties, cascades or kokila.